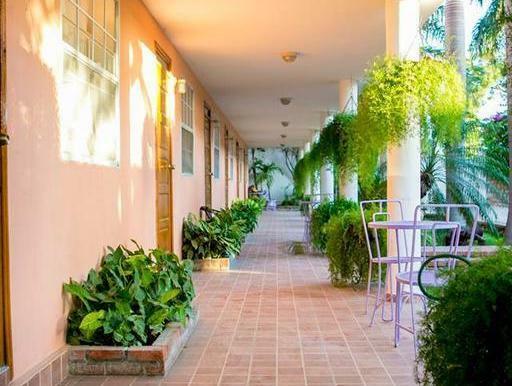 ﻿ Best Price on Palm Inn Hotel in Port Au Prince + Reviews! Located within a 5-minute drive of the city’s international airport, this luxurious hotel in Port-au-Prince features free breakfast, free Wi-Fi and an outdoor swimming pool. It also provides a free airport shuttle service. Each spacious, air-conditioned room at the Palm Inn Hotel has a desk, a wardrobe, a safe and a private bathroom with a shower and toilet. They also have tile floors and a coffee maker. Security is provided 24 hours a day. The hotel’s on-site restaurant serves local and international cuisine for lunch and dinner, and the property also has a fully stocked bar. Guests will find other restaurants within just over half a mile. Port-au-Prince City Centre, which offers excellent shopping, dining and nightlife, is just a 5-minute drive from Palm Inn Hotel. Neighbouring Petionville can be reached in a 15-minute drive.